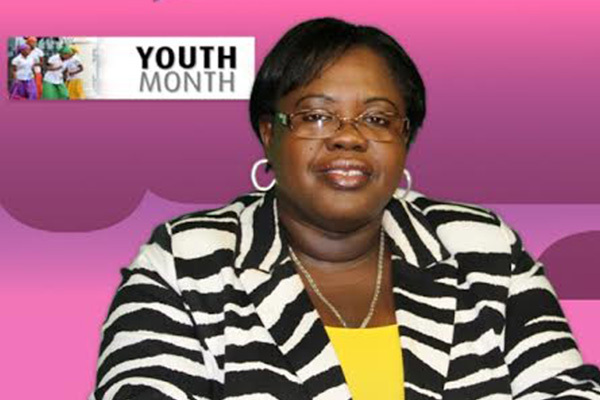 NIA Charlestown Nevis –“Generation Action: Enlarging youth opportunities and choices through leadership, health, education and innovation,” is the theme under which Youth Month will be celebrated on the island of Nevis throughout the month of April. While delivering an address, first aired on Nevis Television on March 31, 2014,to mark the start of the month-long observance, Junior Minister of Social Development Hon. Hazel Brandy-Williams noted that the Nevis Island Administration recognises the importance of the island’s young people and, therefore, intends to adequately prepare the youth for the future. She added that the Department of Youth and Sports had planned leadership development seminars and would be providing leadership support for existing groups on the island, and will shortly, introduce an extensive leadership programme for pre-teens. “The Department of Youth and Sports will continue to promote volunteerism and patriotism as backbones for leadership,” she said. Health and wellness in young people is often overlooked because most young people experience optimal health, the Minister noted. She, however, stated that the Department planned to enlighten the youth to the reality that diseases can and do impact young people in general. “We hope to show our young people the choices they make can affect their health and ultimately their lifespan,” she said. Where education is concerned, she said she is aware that it plays an integral part in the development of the Nevis’ youth and pledged her Ministry’s continued partnership with the Department of Education to provide avenues through which the youth can be empowered. The Minister stated that apart from focusing on leadership, health and education, the Department will concentrate on innovation and facilitate programmes for the development of young people on Nevis. “There is no doubt that our Nevisian youth possess a wealth of ideas which can place them on the map not only locally, but regionally and internationally. Youth, I encourage you to identify areas that you are interested in, identify the deficits in any industry and present to us your creative ideas to fill those gaps,” she said. Minister Brandy-Williams officially launched also officially launched the activities for the observance of Youth Month which include a Youth Speak Essay Contest; a Youth Health Fair on April 4; a week-long day camp titled “Camp Action” to run from April 7 to 11; a Youth Rally on April 11; a Youth Leadership Symposium on April 14, during which the 2014-2015 Nevis Youth Council will be elected; a Poetry Night at the Caribbean Cove on April 12, participation in Global Youth Service Day from April 11 to 13, and a Youth Awards Ceremony and Gala on April 26.